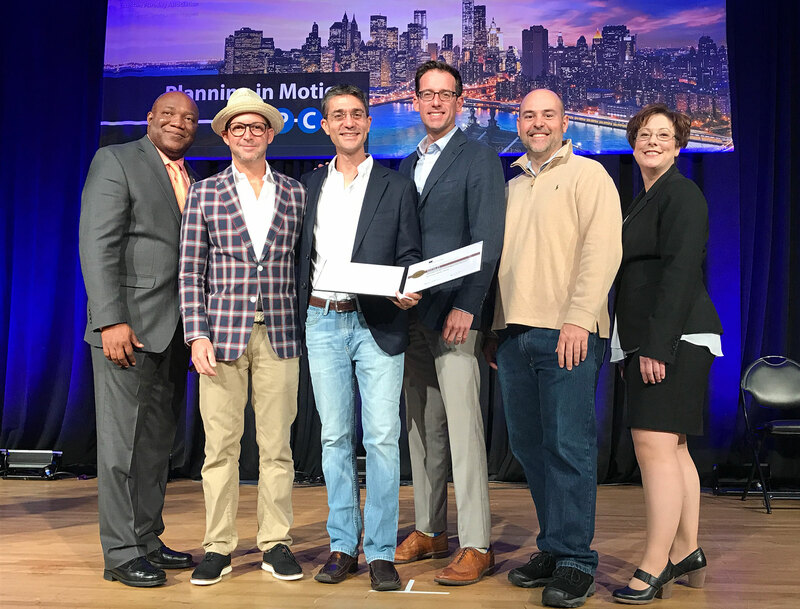 MIAMI – PlusUrbia Design, a boutique urban design and land use planning studio, has been honored with a national award presented by the American Planning Association (APA). 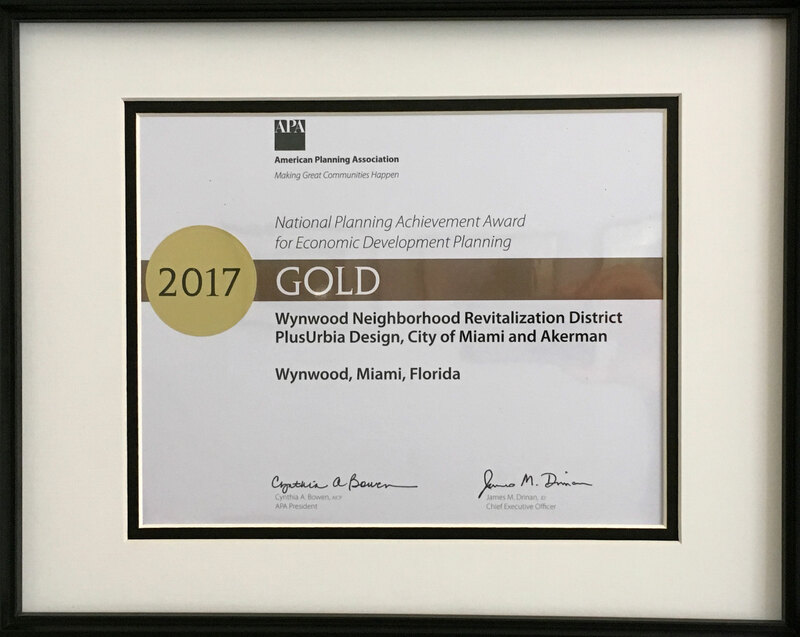 PlusUrbia’s Wynwood Neighborhood Revitalization District (NRD) won the prestigious National Planning Achievement Award for Economic Development Planning. “A small, independent film out of Miami won the Academy Award this year and now a boutique design studio in Miami has won the Oscars of Urban Planning” quipped Juan Mullerat, Director of Coconut Grove-based PlusUrbia. The City of Miami partnered with PlusUrbia and Akerman law firm to develop a plan to transform Wynwood into a progressive arts community with walkable streets, transit corridors and green space. The Wynwood Business Improvement District hired PlusUrbia to create guidelines, incentives and zoning changes that became the NRD. The plan spurred more residential development, particularly small, affordable apartments and live-work units that appeal to millennials. The 2017 National Planning Award recipients will be honored during APA’s National Planning Conference in New York on May 8. The recipients of the profession’s highest honor will also be featured in the May 2017 issue of Planning magazine. Each year, APA recognizes outstanding efforts in planning and planning leadership through its National Planning Excellence and Achievement Awards. The two-tier awards are selected through a juried process. Excellence recipients are the highest honor and Achievement Awards recognize areas of specialization with the planning profession. APA’s national awards program, is a proud tradition established more than 50 years ago to recognize outstanding community plans, planning programs and initiatives, public education efforts, and individuals for their leadership on planning issues. 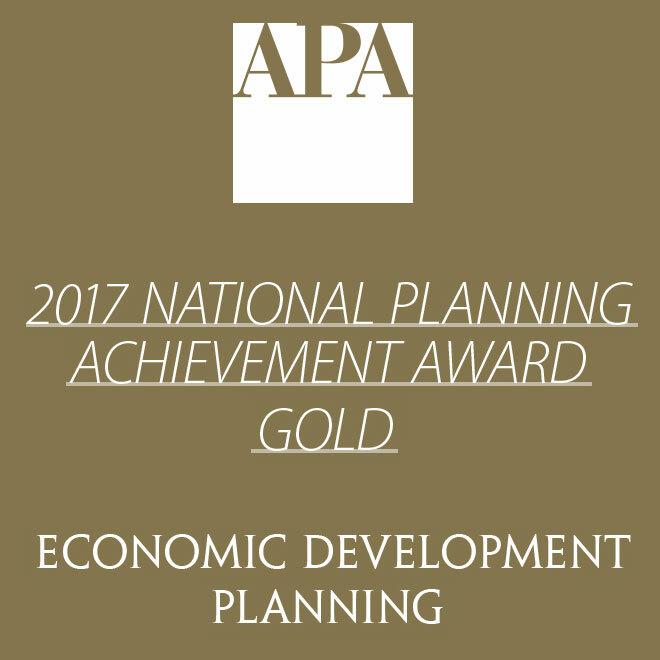 For a complete list of all the APA 2017 National Planning Excellence and Achievement Award recipients, visit www.planning.org/awards.